Vous êtes ici : Accueil»Events»Teach on Mars will be exhibiting at the CES in Las Vegas ! 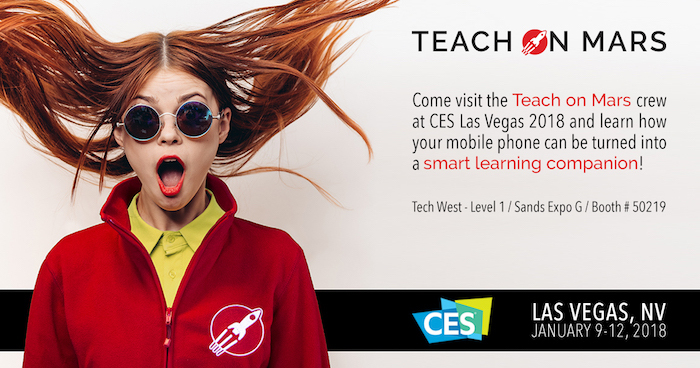 Teach on Mars will be exhibiting at the CES in Las Vegas ! Teach on Mars will exhibit from January 9 to 12 2018 at the Consumer Electronics Show (CES 2018) in Las Vegas, the must-attend event for innovators in the global electronics and high-tech industries! CES is the world’s largest consumer technology fair and the place to be in January 2018 for the world’s most innovative start-ups looking to showcase their technology and take their business development to the next level. For this 2018 edition, Teach on Mars will be participating at CES for the first time, and will use this unique shop window to unveil its latest innovation and consolidate the visibility of its brand on the international scene. This year, the event will welcome more than 3 800 technology firms and 184 000 business leaders. 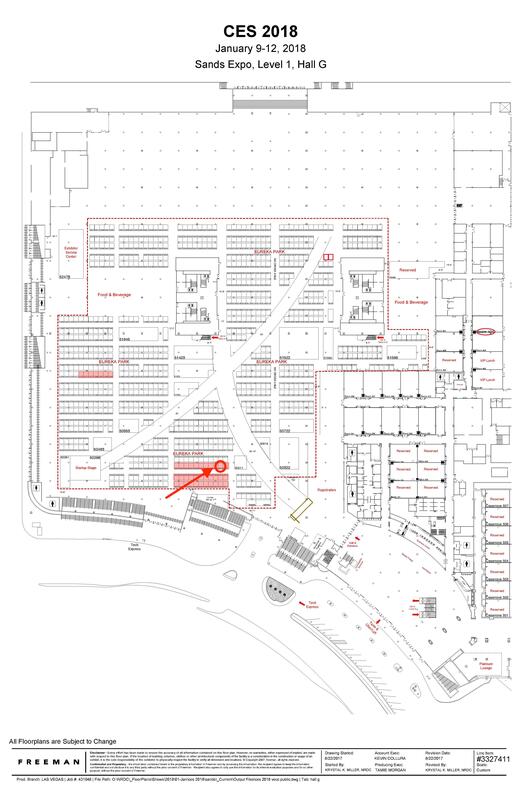 The Teach on Mars booth will be in the Eureka Park zone (booth #50219) – which will play host to the world’s 800 best start-ups. A 100% context-driven learning experience. Harnessing the power of high-end speech recognition technologies and a sophisticated Artificial Intelligence engine, Teach on Mars’ latest innovation can react to a learner’s voice requests on-the-fly. It offers every learner the appropriate training activity tailored to his or her needs and situation in real time through a mobile device.